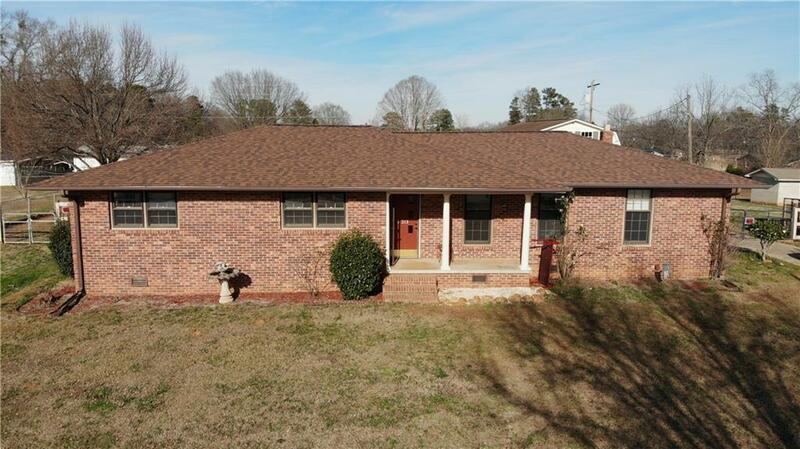 Great brick rancher in Belton! This 1600 square foot home features 3 bedrooms 2 bathrooms, living room, dining room, family room, sun-room, hardwood flooring in the living room and bedrooms. There is a HUGE 24x36 2 car garage with storage upstairs. The building is plumed and ready to go!!! The yard is fenced and the driveway is paved! Appliances are included in the sale!!!! The family room features a wood stove and a brick paved floor! !